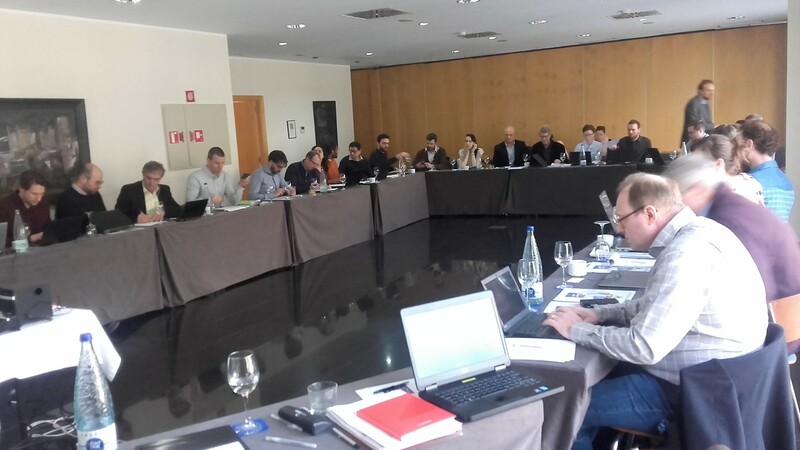 Following the progress meeting in Chania (September 2016), the third METGROW+ meeting was held in Barcelona, Spain (February 21-23, 2017). During the WP meeting the first results were presented concerning the preprocessing, pyro-, hydro-, solvo-, electro-, iono- and biohydrometallurgical technologies to valorise the four generic resources. The development of the METGROW+ toolbox methodology was presented. Key attention also went out to the METGROW+ exploitation strategy and the principles of Open Access (detailed presentation can be found here). 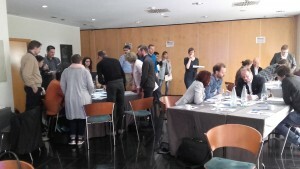 Concurrently, in Barcelona the official METGROW+ Advisory Board was officially kick-started. 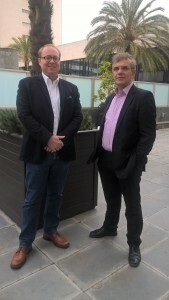 Dr. Justin Salminen (Research Manager, Boliden, pictured on the left) and Prof. Anthimos Xenidis (CEO LARCO, pictured on the right) provided a thorough feedback on the project progress. Corina Hebestreit (Director of Euromines), the 3rd AB Member, was excused for the meeting. The main message from the AB Members was to not underestimate the challenges when integrating the distinct metallurgical unit operations into workable flow sheets for the specific waste materials and the low-grade laterites. This advice was taken firmly on board as the Third Progress Meeting also involved an extensive workshop on February 23, 2017, in which the technology combinations were discussed in depth. This was done per generic resource family, in order to develop feasible, cost-effective flow sheets per material. From now on METGROW+ will include Working Groups per generic resource family, integrating unit operations, transversally, along the Work Packages. This entry was posted in Events and tagged biannual, h2020, meeting, project.